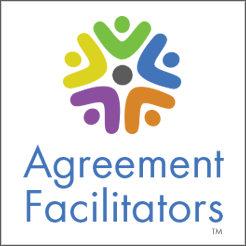 Conflict Resolution Practitioners find that there are numerous ways to approach mediation. These include Facilitative, Evaluative, Narrative and Transformative styles. By giving names to these styles, mediators can better communicate about the field and its various approaches. It is the mediator’s judgment that dictates which style or tools are utilized in a particular case. While some mediators prefer to use the tools that are specific to a style, many mediators tend to borrow tools and techniques from any style when it is applicable to the situation at hand. In this article, the authors discuss a relatively new style, Party-Directed Mediation. In developing a title for this style, Billikopf was inspired by the work of Carl Rogers (1951), who believed that clients came to therapy with their own solutions to their problems; solutions that would come to light and be discovered by his clients through empathic listening. In this article, Billikopf and Linden talk about Party-Directed Mediation, give examples of where the technique is used, discuss the types of cases that seem to be most amenable to the use of this approach, and finally, discuss where the style can be of greater use to mediators. Party-Directed Mediation strongly leans on 1) the use of the pre-caucus and 2) a client-directed joint session. Party-Directed Mediation also borrows from other styles in terms of approaches that help obtain the desired results. Any tool is not an end in itself, but rather forms part of the general approach. In Party-Directed Mediation the concept is similar to that of Client-Centered Therapy, in that the parties’ roles are critical. The role of the mediator is primarily to be a good listener and coach. The parties take an increasingly larger role in the conflict management process, so that in the joint session they speak to each other rather than to the mediator. This approach is particularly useful where the individuals are more concerned about their on-going relationship than in solving a particular issue or challenge. The parties are given many of the tools they need to solve future conflicts. The philosophy behind Party-Directed Mediation, is that individuals also come to mediation with their own solutions to their problems. The solutions they often cannot see because of the buildup of stress over time, as well as poor communication skills. In the pre-caucus, the mediator meets with each party separately, and away from the other parties, before they are ever brought together into a joint session. The purpose of the pre-caucus is to help each party decompress enough to be able to see more clearly, and to prepare the parties to run their own agenda in the joint session. These specific techniques are somewhat controversial to mediators (an informal study conducted by Billikopf in seminars shows that most people who have not had mediation training feel more comfortable with pre-caucusing than with the idea of bringing parties together without the benefit of a pre-caucus, while Linden has found that the practice of pre-caucus is often viewed by mediators and parties as inappropriate). In the joint session, the interactive dynamic of a party-directed joint session, individuals are situated so they sit face to face (or, cara a cara) and address each other directly, rather than through the mediator. To enhance this delegation of responsibility to the individuals, clients sit facing, or directly across, from each other at one end of the table, while the mediator sits at a distance from both, thus mandating that both parties must address each other. Parties often have to be reminded that the mediator is not there to judge between the merits of the position of one party or the other, but to help the parties take responsibility to manage their own conflict. It is this sitting arrangement that does much to, in essence, force the parties to face each other and the conflict. There are other potentially useful tools. For instance, in one mediation Billikopf found that having the parties read the mediation transcript after the mediation was completed, had an enormous positive impact on the parties. Billikopf hesitantly shared a copy of his book, Helping Others Resolve Differences with each of the parties involved in the conflict that he had taped and transcribed into the book. He did this half a year after the parties had come through a successful mediation. Both parties were in agreement that reading the transcript was bitter but useful medicine. Over the last few months, Jon Linden and Gregorio Billikopf have exchanged thoughts on Party-Directed Mediation, and the resulting observations have made us feel that the topic should be perused by a larger audience. This conversation has revolved around a research paper and a book authored by Billikopf: “Contributions of Caucusing and Pre-Caucusing to Mediation” (2002), and Helping Others Resolve Differences: Empowering Stakeholders (2004). The authors, then, agree that different types of mediation cases may call for different approaches, and that each mediation has a “personality” of its own see Linden’s ”The Purist vs. The Toolbox” (2001). Jon: Upon first approaching the topic of Pre-Caucus, most mediators start to bristle. In general, mediators find the concept of caucusing with one party or the other, before they have even begun, bordering on potential conflict of interest. Gregorio: True, and the reason for this is that even in styles that are relatively party-directed, the literature shows that the mediator plays a huge role. For instance, in most mediations, the parties address the mediator rather than each other in the joint session. The mediator thus wields a huge amount of power. Jon: While parties often start out talking to the mediator, a good mediator will redirect that so that each party is talking to the other party. A good rule of thumb is for the mediator to say 1 word for every 5 words the disputants say. Gregorio: This may be a difference between actual practice and the literature. The literature shows parties tend to address the mediator, not each other. Jon: When a mediator is trying to help resolve a conflict where the party is severed or has been injured (financially) the parties are very apt to say things to each other that are extremely inflammatory. In classic style mediation, it is the mediator’s job to immediately defuse this type of comment. There is great risk involved in the Party Directed Style in that the mediator is not positioned properly to control sudden outbreaks of anger and emotion. Gregorio: The potential for inflammatory comments you mention is huge. It is true in many types of mediation. After all, the parties could not resolve the problem on their own. The Party-Directed Mediation approach prepares people to speak to each other in more effective ways. There are specific tests I use before I decide to bring people together. If people cannot say something positive about each other in the pre-caucus, for instance, it means they are not ready for a joint session where they can sit across from each other. Jon: This sitting arrangement cara a cara is more appropriate when the parties not only know each other, but are obligated to have a close relationship into the future, because they are either neighbors, family or co-workers. Gregorio: True. Mediations based on a single incident that needs to be resolved, by parties who normally do not interact with each other in a personal way, may lend themselves better to other approaches. Jon: There are many mediations that do not allow for the time needed to properly prepare parties to use the “Party-Directed” technique, simply because parties need a significant amount of education in order to have the confidence that they can run their own agenda, without the direct intervention of the mediator. Gregorio: While Party-Directed Mediation takes much time (from 2 hours to 16 hours, depending on the difficulty of the case), the time used for training normally constitutes less than 5% of the total mediation time. I have carried out this type of mediation with college educated professionals as well as farm workers, and they have both grasped on to the idea quickly and done an excellent job of managing their own joint session. Jon: In Community Dispute Resolution Mediation or Small Claims Court Mediation, where the time is limited to 30 to 60 minutes, it is not possible to use the full “Party-Directed” style. Gregorio: Without a doubt, Party-Directed Mediation could not function with those time limits. Jon: Parts of the style are already in use in other venues but perhaps they have not been recognized as such. The most common occurrence of a “Pre-Caucus” is in mediation for a Court system. Here the mediator usually is provided with the name of the case, and the names and phone numbers of the attorneys involved on the parties’ behalf. The mediator then has a “Pre-Mediation Conference” to schedule, but also to figure out what the case is about. Clearly, the pre-mediation conference is a pre-caucus. Gregorio: Yes, this would be a type of pre-caucus, serving many of the same functions. For instance, just by being heard, the stakeholders can realize they are dealing with an intelligent mediator who seems to be fair. Or, can do some venting before getting to the joint session. Jon: Perhaps an even better example of mediation that might even require a pre-caucus are “Land Use Cases.” In Land Use cases it is not uncommon to have as many as 25 parties/constituencies to the conflict, one or more of which may be government entities. Community members, developers, and environmentalists may all have a stake in the resolution. These mediations are often complex and require the mediator to be an administrative organizer as well as an informed mediator. Gregorio: Besides getting educated, the mediator may also help the different parties improve their negotiation styles and not use terms that will offend the other party. When individuals call each other names or push certain buttons, their chances of coming to a positive resolution dramatically decreases. Jon: Another area where the Pre-Caucus may be useful is in cyber mediation. It is almost always necessary to speak to the parties separately before starting a joint session. Sometimes, parties never speak to each other and all is done through caucusing. Gregorio: When mediation takes place through caucusing and is not followed up by a joint session, it sounds like shuttle mediation. And of course, that is not what Party-Directed Mediation is about. The goal of Party-Directed Mediation is to get both parties talking to each other directly. I will be the first to admit that this is not always possible. Other approaches may be used in those cases where Party-Directed Mediation will not work. We hope to hear from readers who would like to contribute to the Party-Directed Mediation model, whose purpose is to increasingly transfer both skills and responsibility to the parties and help them become better negotiators in the future. Rogers, Carl R. Client-centered therapy: Its current practice, implications, and theory. Houghton Mifflin Company, Boston, 1951, 560 pp. Gregorio Billikopf is an emeritus Labor Management Farm Advisor with the University of California and a visiting professor of the Universidad de Chile. His research and teaching efforts have focused on organizational productivity (selection, compensation, performance appraisal, discipline and termination, supervision) and interpersonal relations (interpersonal negotiation, conflict resolution, and mediation).